The AmplideX PCR/CE C9orf72 Kit (RUO) is a research product for the detection of GGGGCC repeats in the C9orf72 gene. These reagents provide a single-tube PCR approach based on a Repeat-Primed PCR (RP-PCR) design to profile repeat sequences in the C9orf72 gene. Asuragen has established the market-leading technology for the reliable amplification and analysis of CGG triplet repeats in the FMR1 gene. The AmplideX PCR/CE C9orf72 Kit (RUO) is an expansion of this technology into the neurogenetics space. The kit provides clinical and pharmaceutical researchers with a reliable and reproducible method for high-resolution genotyping of hexanucleotide repeat expansions in the C9orf72 gene, which is of increasing interest in frontotemporal dementia (FTD) – the second most common form of early onset dementia after Alzheimer’s Disease – and amyotrophic lateral sclerosis (ALS). *For Research Use Only. Not for use in Diagnostic procedures. 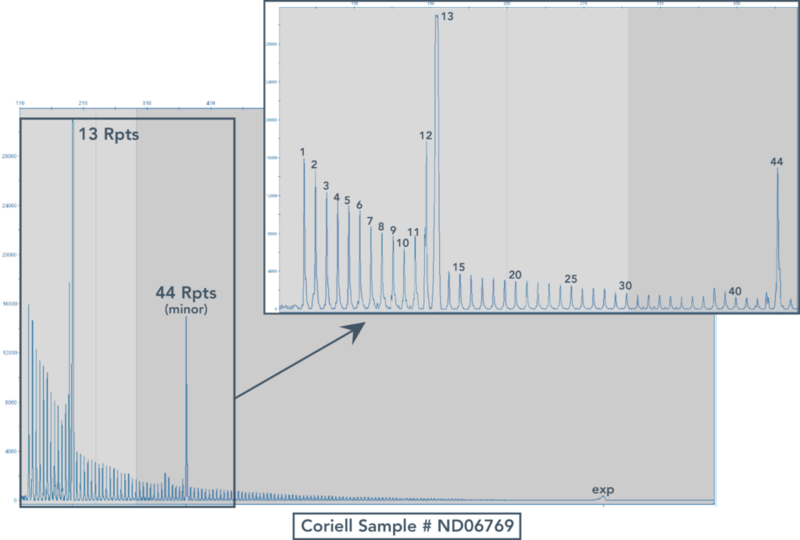 Figure 1: Coriell cell line ND06769: The AmplideX Kit correctly sizes a primary allele at 13 repeats and a minor allele at 44 repeats. The expanded allele is also detected in the electropherogram. Figure 2. Coriell cell line ND06769: Alleles up to 145 repeats can be detected above background and correctly sized, alleles above 145 repeats are amplified and detected as expanded. 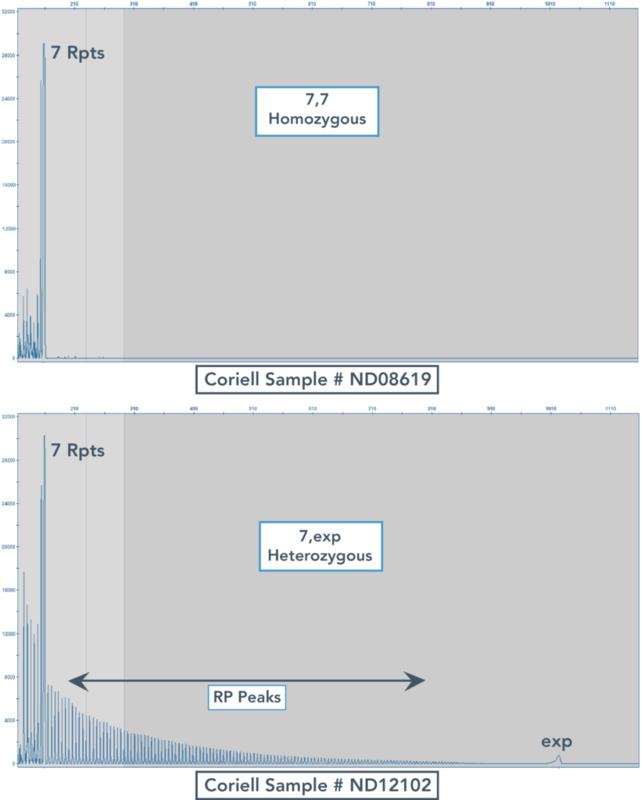 Figure 3: Side by side comparison of 2 Coriell cell lines: ND08619 (7,7 homozygous) and ND12102 (7,expanded heterozygous): Extension of the repeat-primed peak pattern beyond the shorter allele clearly differentiates the heterozygous sample from homozygous sample. The AmplideX PCR/CE C9orf72 Kit* is a research product for the detection of GGGGCC repeats in the C9orf72 gene. These reagents provide a single-tube PCR approach based on a Repeat-Primed PCR (RP-PCR) design to profile repeat sequences in the C9orf72 gene. I acknowledge that the information on this site is for non-US customers only. The site may contain information that is not approved for your country.